Many of us have s car we’d like to see the back of. This may be a surgical operation scar, skin grafting, an injury to the skin or – commonly – a scar left over from acne. These scars can be effectively treated with laser treatment, improving the appearance of the skin and restoring the self-confidence. Acne scars develop in the dermis where former cystic blemish lesions have been present. People with darker skin tones may also notice darkening or hyper pigmentation within the scars, while people with lighter skin tones may show redness or erythema within the scars. Most acne scars conditions can be corrected or minimised permanently if treated quickly and efficiently, but some require laser treatment to be removed. How laser removal treatment works ? Laser removal treatment for acne scars works by focusing fractional pulses of laser light to break down the scar tissue and helps to generate new tissue in its place, the same colour as your other skin and more even in texture. Depending on the size of the area being treated, it can take as little as 40 minutes and you should feel only minimal discomfort. If you’re worried about the pain, just ask – we’ll be able to advise you on the best way to minimise it. 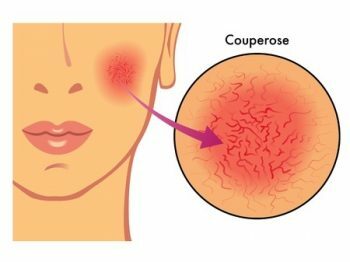 Immediately after your treatment, you may see some swelling or redness at the treated area, but it should start to go down after a few days. If you have any other concerns, ask at your consultation and we’ll answer any questions you may have. If you would like any further information about removing acne scars, please visit this page.